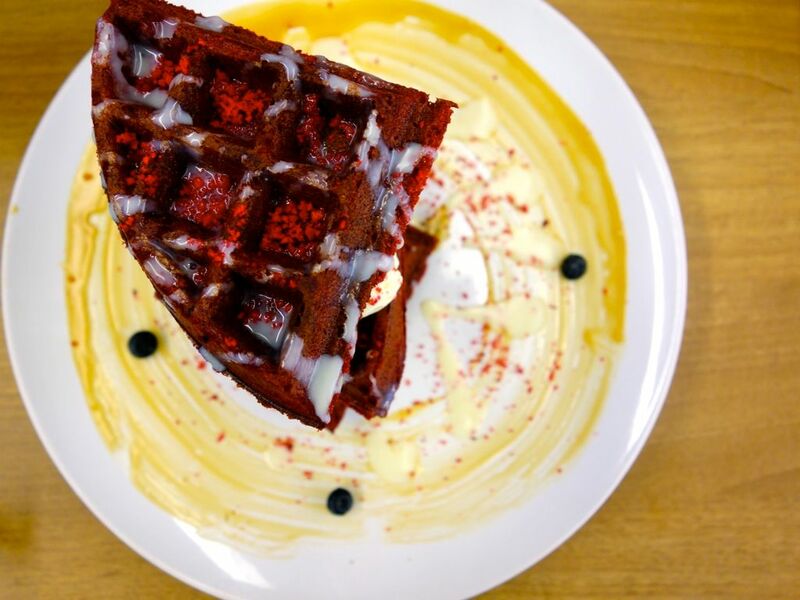 #Waffles the insane trend that is on the Singapore cafe scene right now. 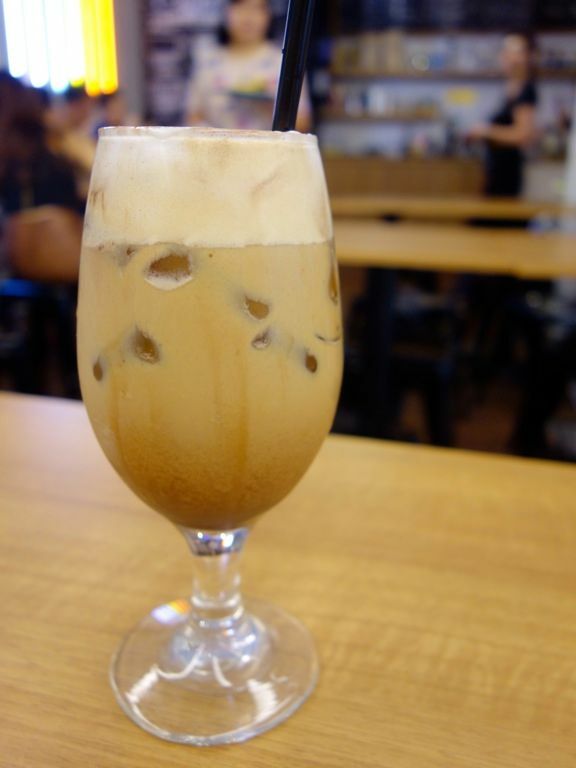 Even though it feels like the trend is past its peak, cafes are still hopping on to this train. 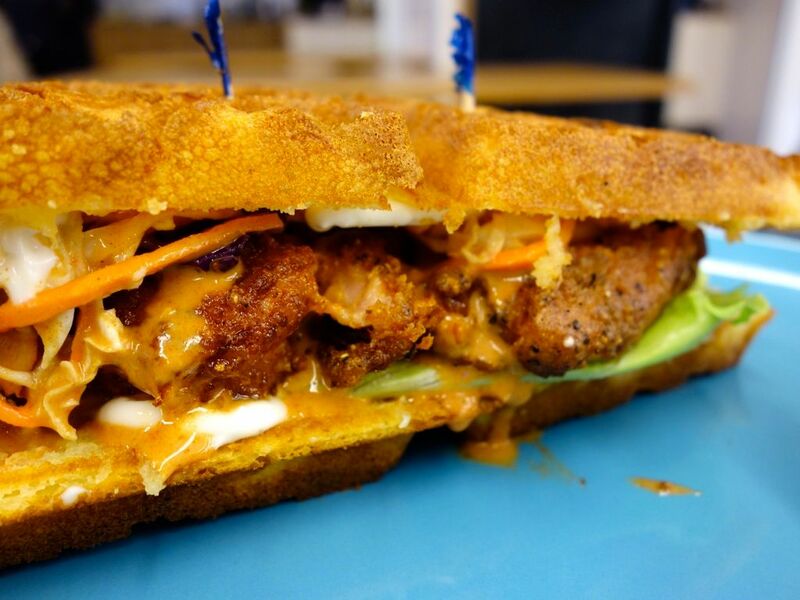 Well I guess in months to come, only the good ones will still be going strong and my bet is on Montana Brew bar to continue serving us some crispy deliciousness. Waffles are the highlight here though Montana Brew Bar does burgers and sandwiches alongside specialty coffee (it's a brew bar after all). 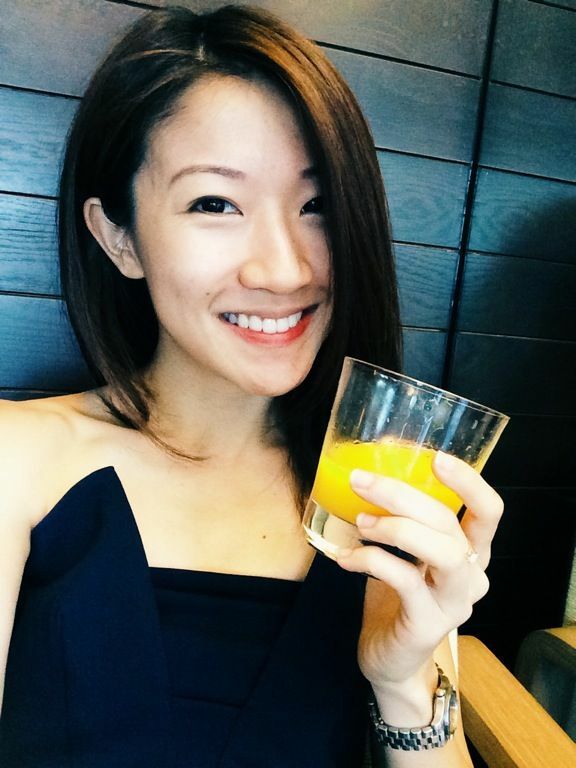 Let's start with savory first. 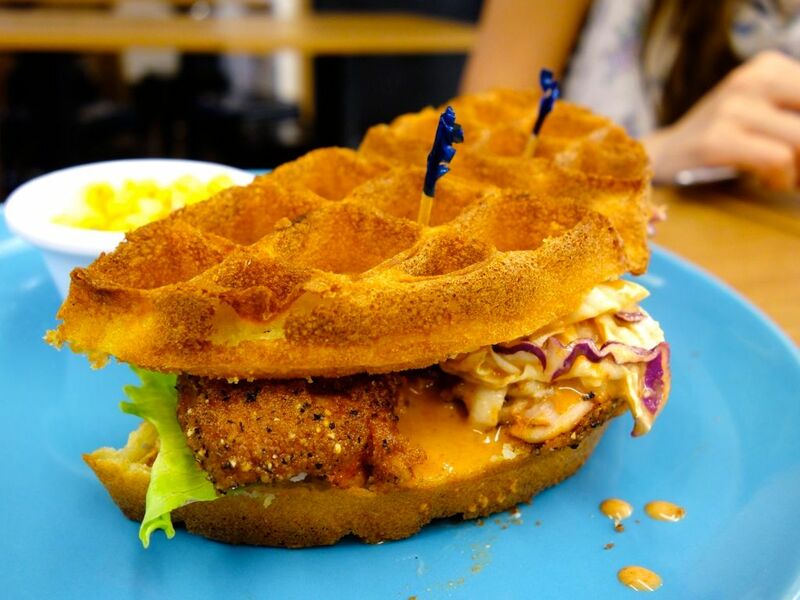 The Southern fried chicken wafflewich ($10.50) has gone through many versions and I think this may be v2.5 or something. Reviews said that the chicken was dry and it still wasn't improved after all these changes #meh It may have something to do with the bland spice rub on the chicken. 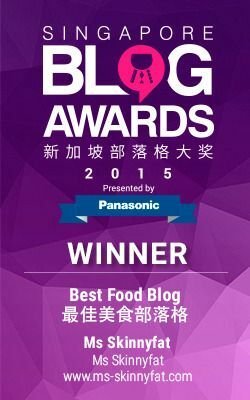 Well we'll just give us a juicy buttermilk fillet and that'll do. The spicy southern mustard sauce, which tasted pretty much like tabasco sauce, was pretty good. At least it gave some acidity to the crispy sandwich. I thought that the waffle seemed to be missing some kinda ketchup sorta base or something to gel the dish. The waffles, on their own, were faultless. They remained crispy with every bite even after sitting there for a bit as we carried on with our conversation and got distracted by the other waffles. The Truffle Jalepeno Mac & Cheese ($12.50) invaded our immediate environs with its strong truffle scent. The mac & cheese was folded into the waffle batter and then toasted. We were surprised by the generally sweet batter though (isn't m&c supposed to be salty?). Also we didn't get any of that stringy cheese pull-apart effect that we were expecting. This waffle was softer than the rest of Montana's offerings but we enjoyed the moist and spongy texture. Spice lovers may get a kick from the jalapeño bits but the chutney sauce that came with it tastes more like a a sweet Indian curry (it had a distinct cumin flavor). Overall, this dish required something salty to cut through the sweetness. Like bacon... Definitely bacon. For sweets, you get a choice of the crispy crunchy waffle or the fluffy, light and chiffon-like center with a gentle crispy crust for their sweet stacks. The limited time availability made us choose the Red Velvet Waffle Stack ($10.50) (which really ran out when we were halfway through our brunch at 12ish) over the Chocolate Banana Waffles ($10.50), a chocolate waffle with caramelised banana, vanilla ice cream, salted caramel sauce and nutella truffle powder. I kinda liked this one actually. 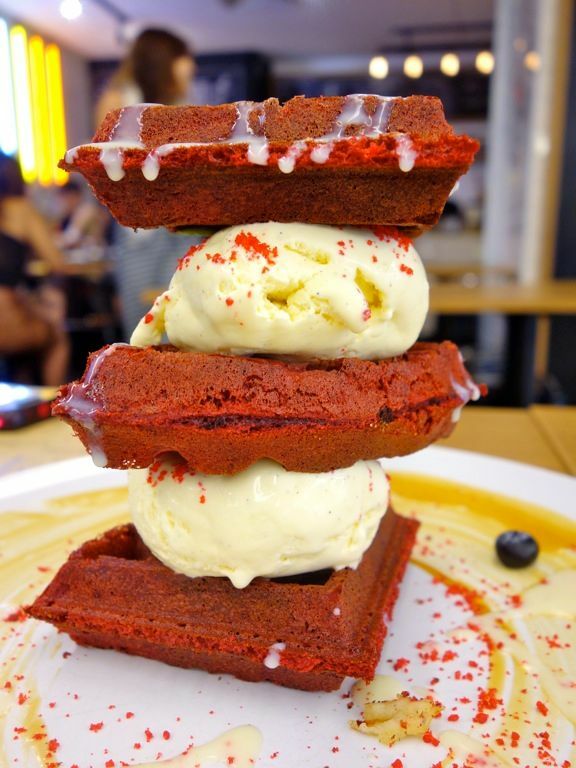 It didn't taste anything like red velvet (with the taste of beet) but go for this because it's a really awesome crispy waffle with dulce de leche and dense creamy ice cream (could do with a stronger vanila flavor). We spotted a new flavor which is the Brioche French Toast Waffles ($10.50). I'd hand them my money already. 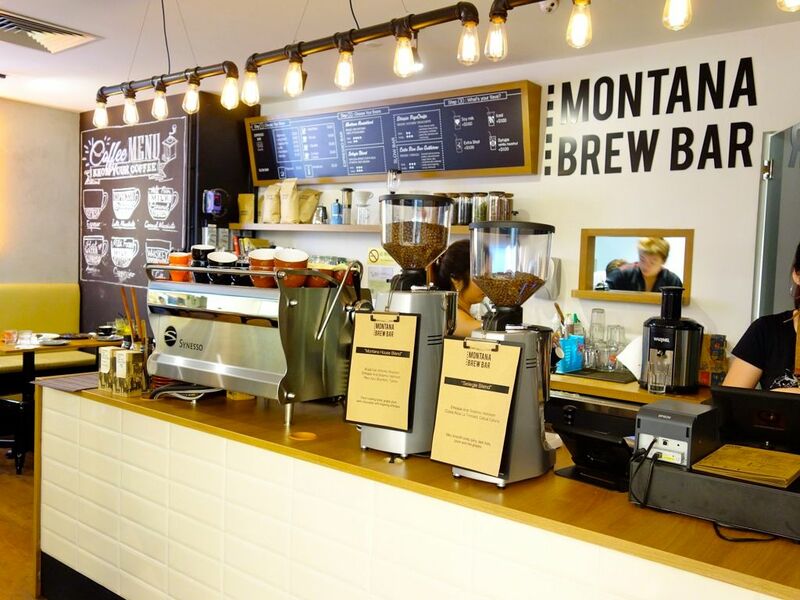 You can also get your caffeine kick at Montana Brew Bar with black coffee going for $3.50 onwards and other espresso based drinks from $4. 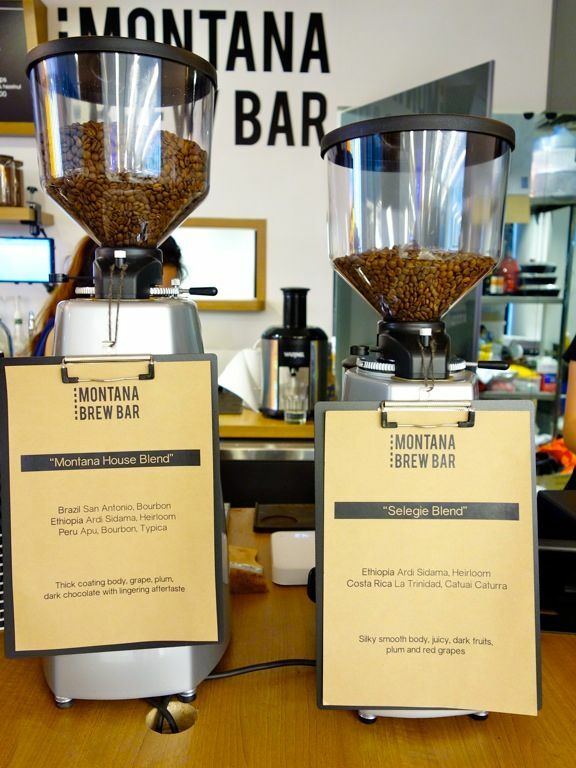 The Montana House blend is a mix of beans from Brazil San Antonio, Peru Apu and Ethiopia Ardi Sidama beans. It produces a full bodied coffee with a low acidity and was an easy to drink cuppa with dark chocolate notes. Pour-over and aeropress coffee are available as well ($5.20) and you can pick from the Ethiopia YirgaCheffe or the Peru Apu single origin beans. I'd head back to Montana Brew Bar for a decent coffee and perhaps a sweet waffle if i'm in the area. 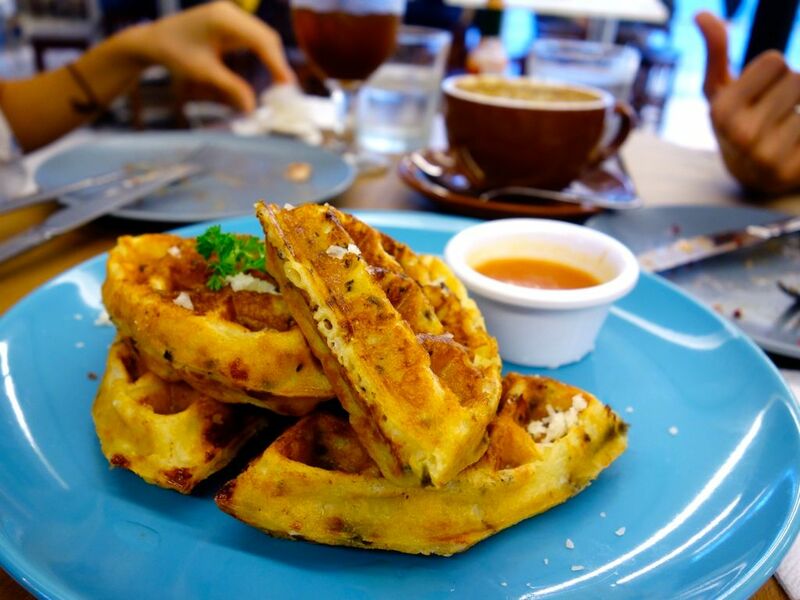 You can't beat great waffles at a great central location.